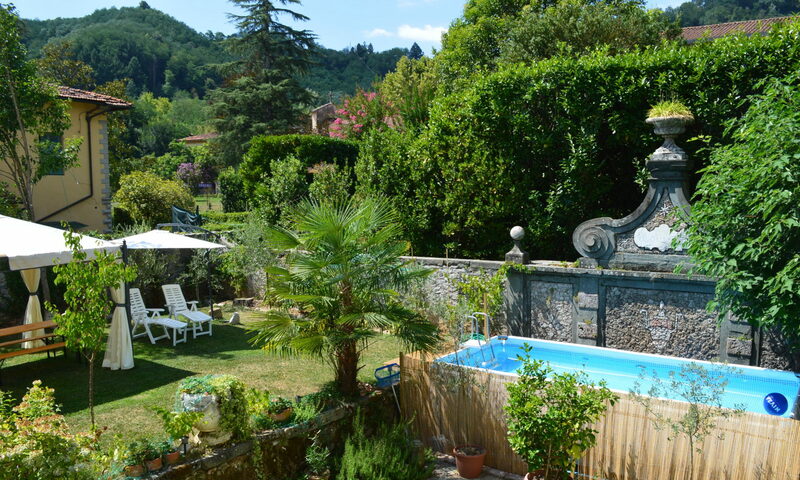 Tuscany is famous for its sunny days, and Bagni di Lucca is no exception. Even in January the weather can be fabulous, with dry, sunny days set against a magnificent blue sky. 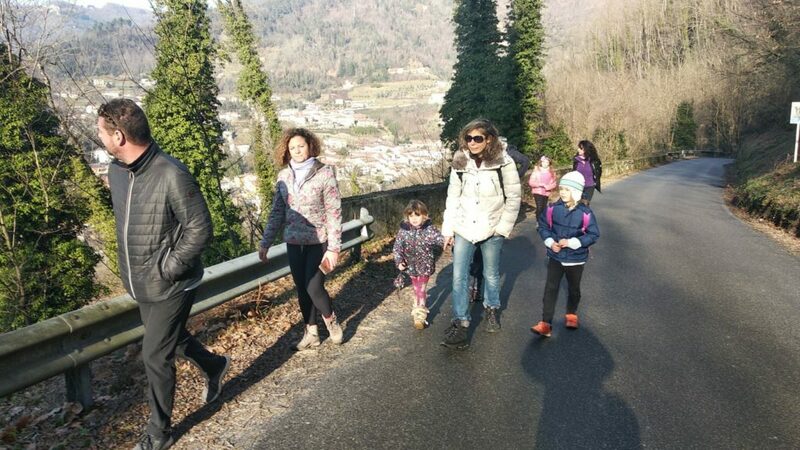 Perfect weather for a walk in the mountains! On Sunday the nearby village of Benabbio hosted a festival, called “Festa de Necci”, which celebrates a local product similar to a pancake. Necci are made with chestnut flour and filled with ricotta , nutella, cheese, hams, or whatever you fancy. What a great opportunity for an adventure with all the kids! Along the way you can admire the view over Bagni di Lucca, La Villa, and up towards Benabbio, a charming little village higher up the mountain. 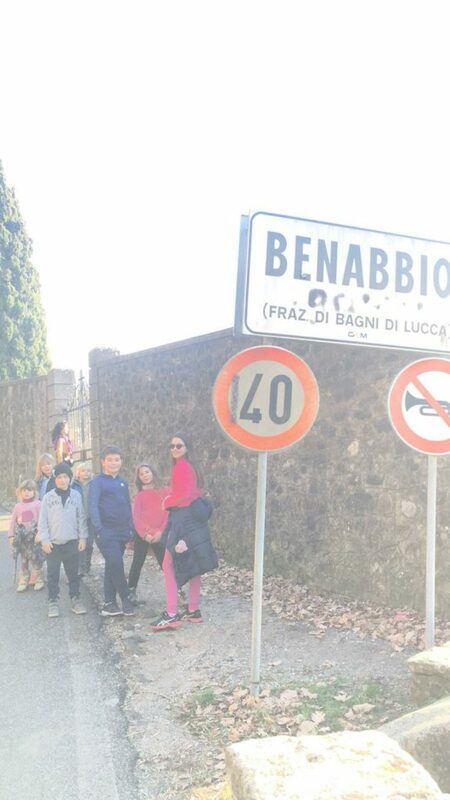 We were all very happy when we finally reached Benabbio, and headed straight for the party in the square, for a feast of Necci and mulled wine! The walk took, in total, an hour and a half. 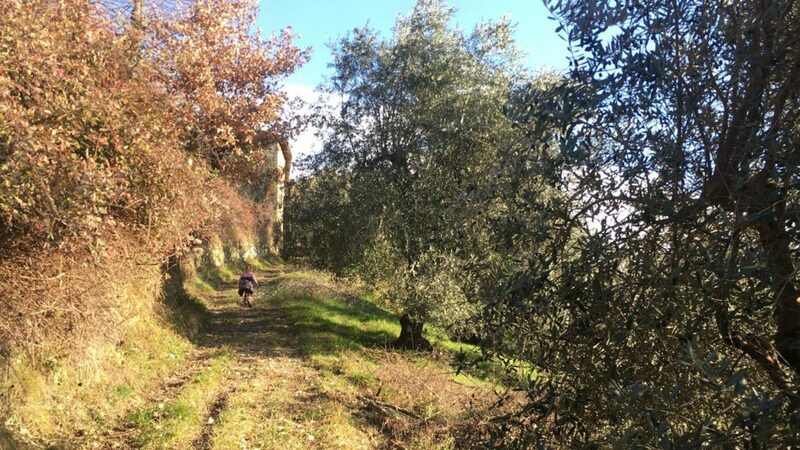 It’s an easy, lovely walk that even kids can manage. 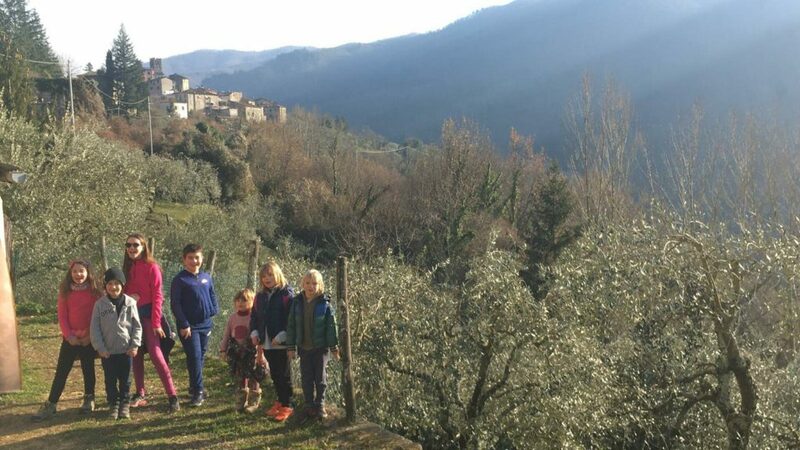 If you happen to be in Benabbio at lunch time, you can enjoy a great meal at the famous restaurant “Il Cavallino Bianco”, right in the centre of the village, before you head back to Bagni or continue your walk towards another of our local villages. Still much more to explore in this wonderful area! Casa Tolomei offers large, comfortable guest suites comprising bedroom, private sitting room and bathroom during spring and autumn, and villa rental in summer. How do I pronounce Tolomei?? mei in Italian sounds like may in English, so say Tolomay.